Elisha was the third of five children born in a ghost marriage, an arrangement that allows women who have no sons to pass their inheritance on to another woman’s children. Elisha’s mother was married to a widow whose husband had died without giving her any children. The women raised her children together as their own. Unfortunately, both women died while Elisha was still young, and the children were taken in by their grandmother, an old widow who was unable to care for them. She asked for help from friends and members of her church, but help eventually ran out. Elisha and three of his siblings were transferred to the Micro Community of Baba Nyumbani. Elisha was a bright boy, but he never excelled at academics, and he continued to struggle with school at Baba Nyumbani. With a lot of hard work, he managed to earn a passing grade. Elisha’s passion was always beyond academics: he loves teaching others about God. He has a determined spirit and a deep compassionate heart that fuels his desire to keep learning and encouraging others. 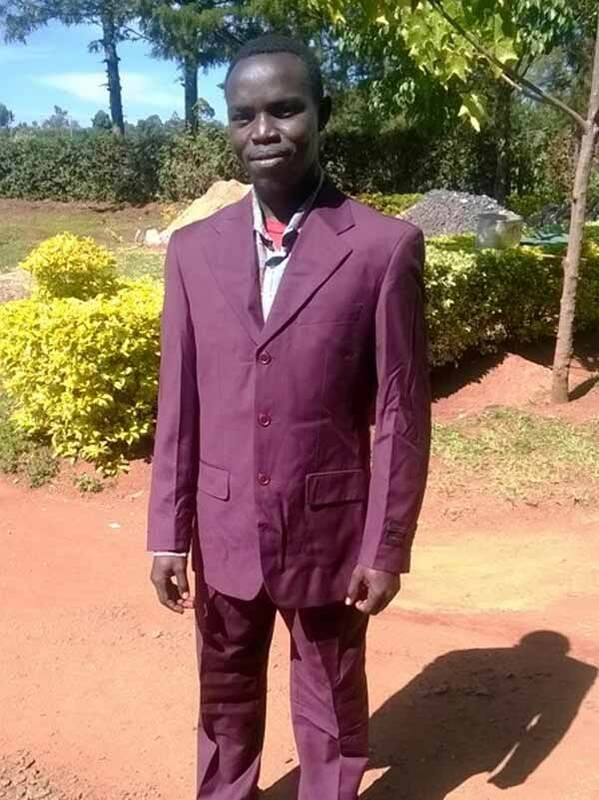 And so, Elisha signed on for more schooling after graduating from Baba Nyumbani, enrolling in a Bible training college in pursuit of pastoral certification. In March 2017, Elisha graduated from the program. Today, he is happy to be able to teach and inspire hope in others. He has found his purpose in life and is on track to become a pastor in the near future. You can empower a child to a happy, healthy, self-sustainable life.